SEO Services for Photographers – Flaunt your Photography business online by implementing SEO for Photographers provided by WebHopers Photography SEO experts. According to the stats 72% of couples in 2016 used search engines to find wedding photographers especially for pre wedding shoots. So if you have a photography website and currently running PPC marketing, but want to generate long term business. Then implement SEO for wedding photographers provided by WebHopers experts and get customers from search engines. 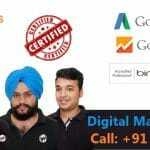 WebHopers has a team of SEO experts who has experience in implementing best techniques related to SEO for Photographers and photography websites. To get White Hat Photographer SEO services so that your ranks maintain on top for longer duration. Then call 7696228822 or Skype us at WEBHOPERS. 100% result oriented and best Photographers SEO service guarantee. Why SEO is Important in Photography Business? Today is the time of internet and modernization. Youngsters loves to surf internet and according to stat most of the time they are looking for services. 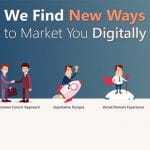 So it become more important for the business owners that they can modernize their marketing and reach towards potential customers online. Same thing is applied in photography business. In US internet usage is more as compared to other countries. So SEO is the basic need there. But in India according to the recent stats the internet usage is increasing day by day. The good thing is that almost 80% of youngsters in India loves to search things on internet. For example if someone in India looking for wedding photographers in their respective city. If you are located at that city and if your website is ranked on that search results. Then you can get that potential customer. So this is the main reason that you need to implement SEO for Photographers provided by WebHopers. What Makes WebHopers to Provide Best SEO Services for Photographers? We work on providing organic Search engine optimization services for wedding photographers and all other type of photography industry. Our team has proven track record of our SEO results. SEO services for photographers | Photography SEO from WebHopers . WebHopers has a unique work process in providing search engine optimization services. We are not like other companies who provide you directory submission reports, social sharing reports. And what work they had done in month. We know at last results matters most. So our main focus in providing best results to the clients. Fortnightly or monthly report is send to the clients which includes complete ranking of business keywords. India is known for its business all over the globe. There are number of businesses located at India. Now a days even photographers are in huge demand. People loves to find wedding photographers in India online at Google. 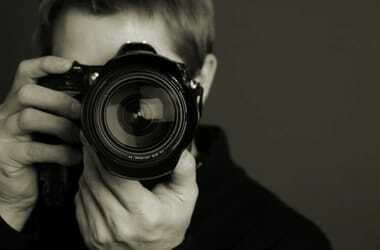 In upcoming years the demand of photographers is gonna increase rapidly. So now is the right time for photgraphers to make strong online presence. When it comes to long term online marketing technique. Then implementation of SEO services for photographers is the best option. OFF Page search engine optimization. We are helping your small business to grow immensely because couples are looking for you online. So Now its your time to take a step with WebHopers and open all the doors of growth. For more information related to our SEO Company and our photography search engine optimization services . Then contact us at on below mentioned details.